Summary: Traffic density estimation is a very important component of an automated traffic monitoring system. Traffic density estimation can be used in a number of traffic applications – from congestion identification to macroscopic traffic control in urban environment. In this paper, we implemented Single Shot Detection (SSD) and MobileNet-SSD to estimate traffic density. SSD is capable of handling different shape, size and view angle of the objects. MobileNet-SSD is a cross-trained model from SSD to MobileNet architecture, which is faster than SSD. In this study, we show a key application area for the SSD and MobileNet-SSD framework. 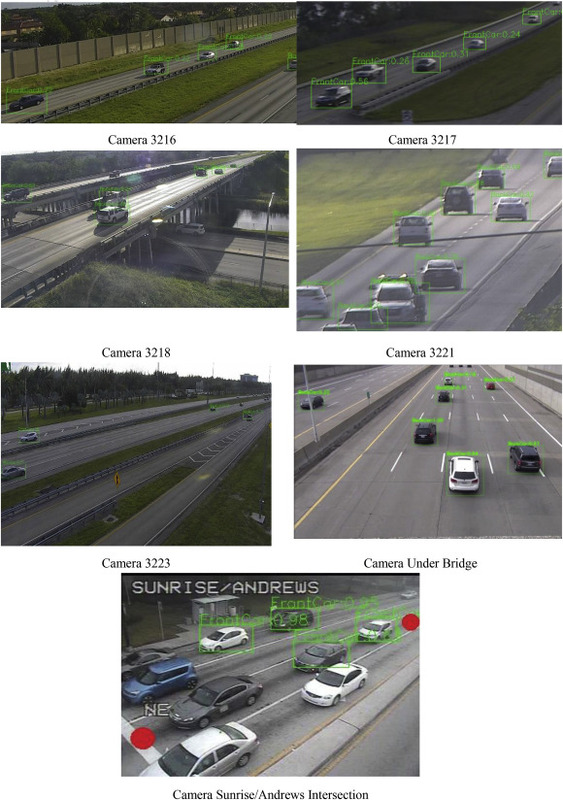 The advantages and shortcomings of the SSD and MobileNet-SSD framework were analyzed using fifty-nine individual traffic cameras. In addition, we compared the two algorithms with manually estimated density. The SSD framework shows significant potential in the field of traffic density estimation. SSD achieved 92.97% average detection accuracy in our experiment. On the other hand, the MobileNet-SSD achieved 79.30% average detection accuracy.